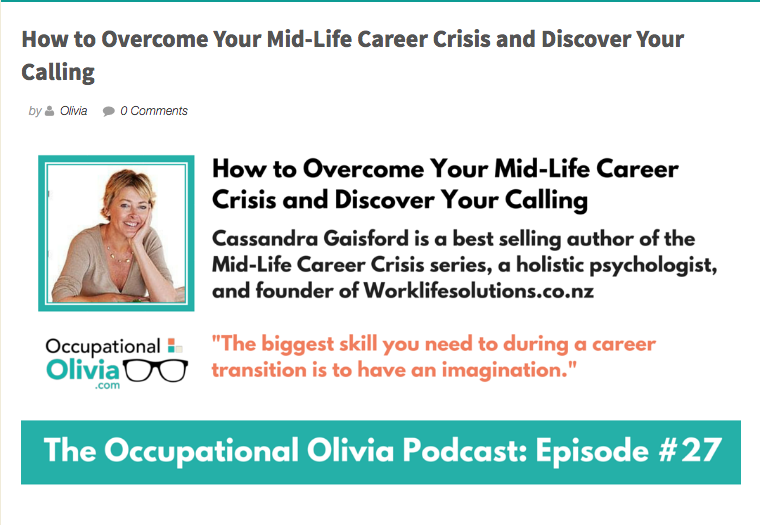 I was interviewed recently by Olivia Gamber, a US based career coach with an amazing podcast dedicated to providing quality career advice to help others navigate the changing world of work and stay relevant. 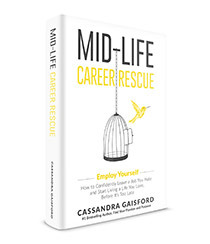 We spoke about a topic which is dear to my heart—how to overcome your mid-life crisis and find your passion and purpose. When you’re in a job that stresses you out and makes you miserable, you can feel so trapped you can’t even contemplate how to make a change for the better. I know – I felt this way once and it was horrible. 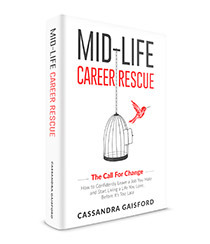 Maybe you’ve been in the same job for years, or your self-esteem has taken a hit. Perhaps you don’t know how your skills and work experience can transfer into another role. These feelings are common for mid-lifers and younger professionals too! In my professional role as a career counsellor and holistic psychologist I’ve helped people with all of the above experiences and worse! 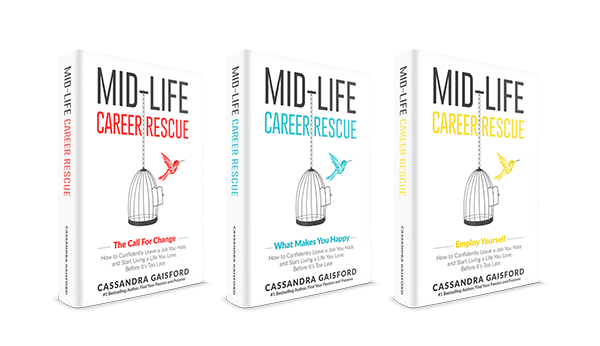 I’ve had clients who are so stressed out by their work they have been suicidal due to their hopelessness and despair. I know acutely, personally and professionally, how important being happy at work is to every aspect to your life. As a holistic psychologist, I take a different approach than most career advisors and coaches when tackling these issues. Someone once asked me, “What was the catalyst for writing your books?” In part, it was my experience with clients, but also the emails I received from people who I knew would never be able to see me professionally, and their depth of hopelessness and despair – despair that reached beyond the individual, but affected those who loved them. As a recruitment consultant, I’ve seen first-hand how employers and recruiters can be ageist when it comes to hiring decisions. As a coach I’ve helped people overcome this and get hired. I’ve also seen people put self-imposed limits on what they believe is possible at their age. Even non mid-lifers do that! “Don’t you do what you love when you retire,” one 28 year-old once said to me! “I’m too old to change, “ said another man in his early thirties. I’ve helped people successfully challenge those limits. I have also presented my unique Passion Driven Model of career design at conferences around the world. I’m not saying these things to boast – but to reassure you that you’re in safe hands. As an artist and creative soul myself, that was like candy to a child. And since then, I’ve proven over and over again, with the successes I’ve gained for clients that thinking differently and creatively, as well as rationally, while also harnessing the power of intuition, and applying the principles of manifestation, really works. 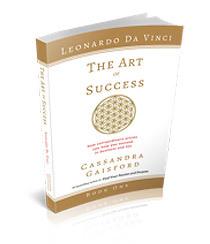 In this book I’ll show you why and how. 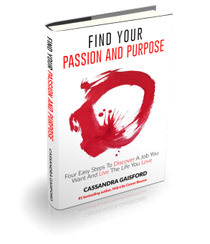 A large part of my philosophy, and the reason behind my success with clients, is my fervent belief that to achieve anything worthy in life you need to follow your passion. And I’m in good company.